TALISAY CITY, Negros Occidental—Most Rev. 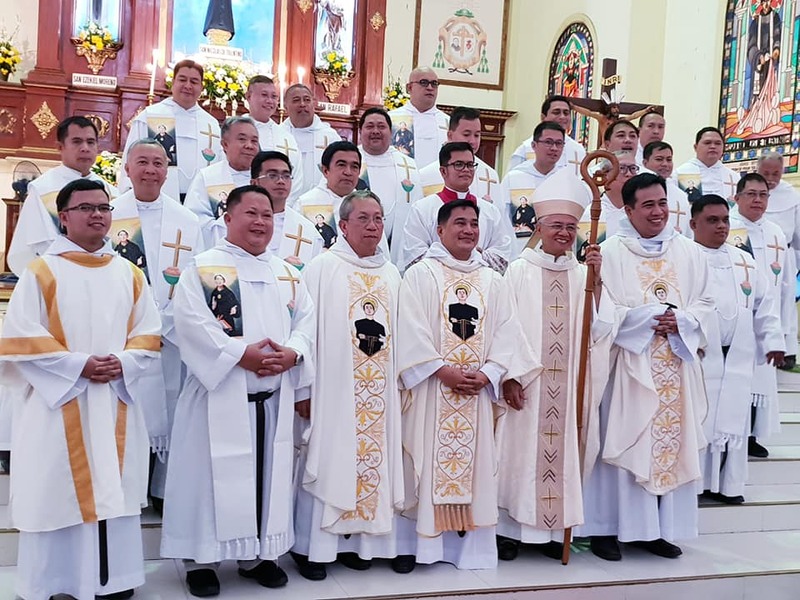 Patricio A. Buzon, SDB, DD, Bishop of the Diocese of Bacolod, formally installed Fray Niño Cesar R. Ruiz, OAR as the 33rd Parish Priest of San Nicolas de Tolentino Parish, Talisay Negros Occidental. Fray Ruiz, together with the religious of Recoletos de Talisay headed by its prior Fray Leonardo Pauligue, OAR, will serve the said parish for this quadriennium. The celebration started with a welcome march at 8: 00 in the morning from Minulu-an Bridge towards the church. The said march was participated in by all the students of Colegio San Nicolas de Tolentino-Recoletos, members of the different church organizations and some faithful. The moment they arrived all the church bells were rung as a welcome gesture to the new pastor. At 10:00 in the morning, Bishop Buzon officiated the Rite of Installation of a new Parish Priest. During the celebration, the letter of appointment was read by Fray Pauligue, OAR. It was very timely because the installation rite coincided with the feast of St. John Marie Vianney, the patron saint of all priests especially of the parish priests. In his homily, Bishop Buzon exhorted the priests to emulate the life and examples of the St. John in their service to the people entrusted to their care.